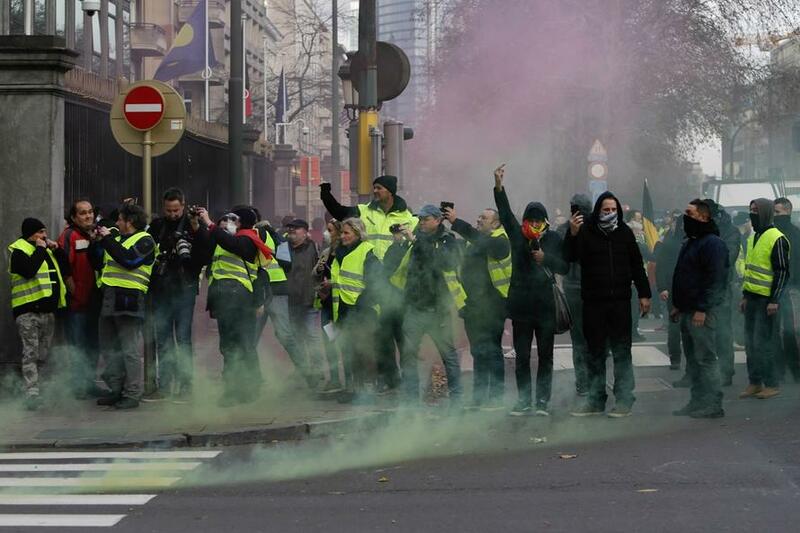 For three weeks, tens-of-thousands of French protesters have donned yellow vests and marched throughout Paris. 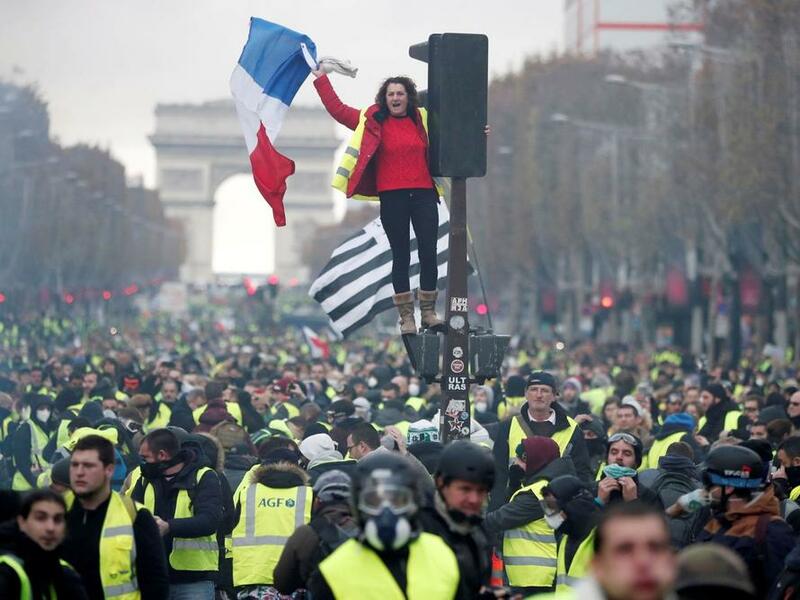 While the "yellow vest" movement began on November 17 as a grassroots protest against president Emmanuel Macron's gas tax - levied in the name of climate change, it has morphed into a general rage against the French government in general at a time when Macron's approval rating is at an all time low. What's more, the movement is spreading - with yellow vest demonstrations seen in Belgium, Italy and the Netherlands by those expressing frustration over similar issues. 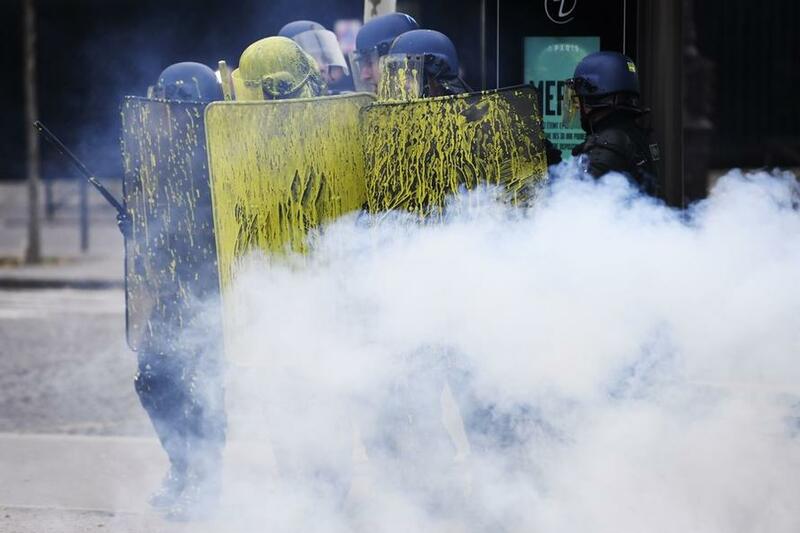 The protests have turned violent, as disaffected rioters have been setting cars on fire, causing structural damage, and assaulting the police. French authorities have predictably blamed the right-wing for the protests - with interior minister Christophe Castaner denouncing National Rally (*formerly National Front) leader Marine Le Pen of encouraging the violence. "Marine Le Pen urged people to come to the Champs Elysees, and there are members of the ultra-right putting up barriers," said Castaner, adding "They have responded to Marine Le Pen's call and want to take the institutions of state. We want people to be responsible." The real cause, however, may be quite a bit more nuanced and a long time coming. As political commentator Kark Sharro suggests in a seven-part tweetstorm, the Yellow Vest movement is "about marginalsation and the impotence felt by ordinary people." Secondly, why the vests? In the French psyche, the lack of arms represents 'helplessness'. The protests are about marginalisation and the impotence felt by ordinary people. Lastly, and I say this with supreme delight as a Middle Eastern person, it's clearly all about the oil.